Officials have warned the storm has the potential to kill �a lot of people� amid risks of �catastrophic� flooding. �Inland flooding kills a lot of people unfortunately and that�s what we�re about to see,� Fema administrator Brock Long told a news conference on Thursday morning. 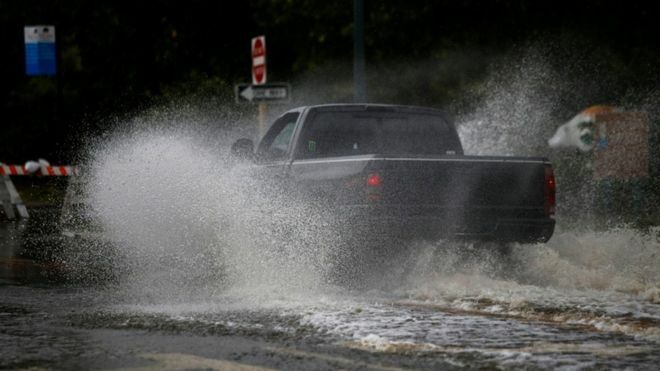 The latest weather predictions show the storm slowing to a near standstill as it pummels the coast with �copious amounts of rain� from Thursday night to Saturday. Meteorologists have warned floodwaters may rise up to 13ft (4m) in areas as some rivers see their flows �reversed�. Over 1,400 flights have been cancelled, according to FlightAware.com, as most of the coastal region�s airports are closed to ride out the storm.